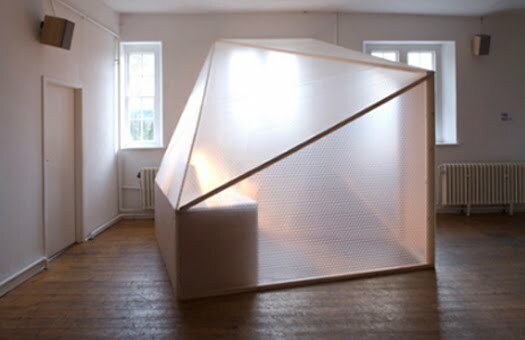 A room within a room designed by Berlin-based Davidson Rafailidis. 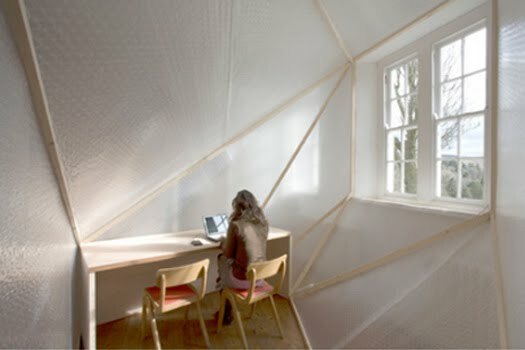 The idea is simple: only partition what you need and thus save on space that requires heating or cooling by controlling the temperature only within the occupied portions of the room. 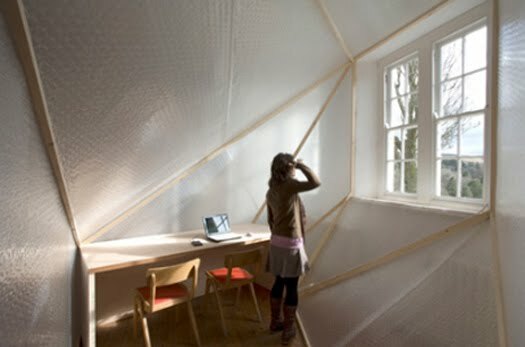 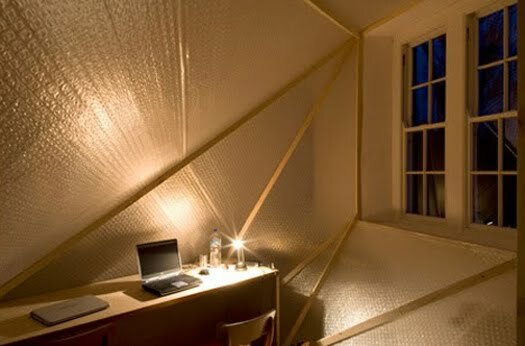 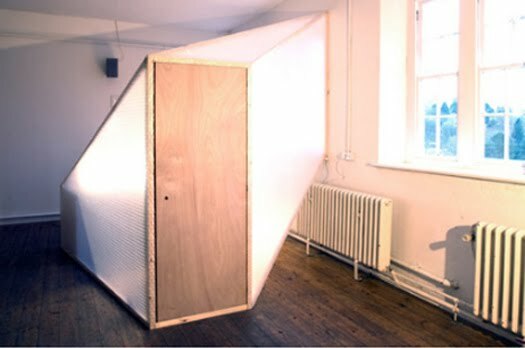 A wooden framework supports greenhouse-grade insulating bubble-wrap and connects key nodes such as doors and windows to a core heated or cooled space.